Has your vehicle not been running like it used to? Whether it’s time for a simple procedure like a tune-up or an oil-change to major engine repair, stop by and visit the professionals at the Amherst Toyota Service Department today! Here at the Amherst Toyota Service Department we feature a full-team of professional vehicle technicians with the tools, knowledge and experience you can trust to get your vehicle running in like new condition again. Our easy-to-find location at 34 Lord Amherst Drive, Amherst, NS B4H 4W6 is just a short trip away from many surrounding areas like Moncton, Shediac, Saint John, Fredericton, Halifax, and Charlottetown for nearby vehicle service and repair you can trust! Just a few of the many things we can do for you are listed below. To get started today, easily schedule a service appointment online, or give us a call at (902) 667-8348 and we can get started today. When it comes to the working condition of your car, van, truck, SUV, crossover or hybrid, trusting just any service shop is a risk no driver should have to take. At the Amherst Toyota Service Department, we treat every vehicle as if we were working on one of our own, so you know that quality is guaranteed. The professional vehicle technicians at our service department have years of real-world experience under our belts, which makes the Amherst Toyota Service Department the perfect place to come for things like Toyota factory recall and warranty work. However, just because we know a lot about the Toyota brand, that doesn’t mean we cannot work on many other different makes and models of vehicles as well. No job is too big or too small for the Amherst Toyota professionals! Quality always comes first for vehicle service and repair in Amherst, NS, but we know that your day isn’t going to be put on pause if your vehicle decides to stop working. This is why we promise to work just as quickly as we do accurately for you. Rest assured if you trust your vehicle to our capable hands, the job will get done the right way, the first time and for a fair price. 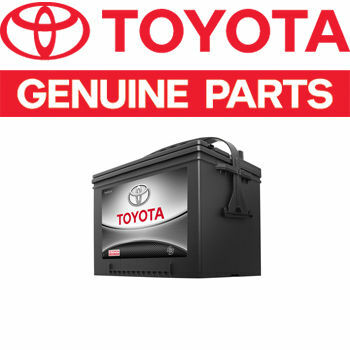 Even though the technicians at the Amherst Toyota Service Department have the knowledge and tools to perform A+ vehicle service and repair, we know that none of it would matter if we didn’t use quality licensed parts. By only using parts that are made specifically for every vehicle we work on, your car, van, truck, SUV, crossover or hybrid will always perform the way you expect it to! In fact, we even stock a large inventory of these very same parts we use right here at our service department on-hand. By stocking quality licensed parts, we can ensure that your vehicle gets the proper attention it needs quickly to get you back on the road and to the more important things in life. So whether you need vehicle service in Amherst, NS now, next week or next month, the short trip to the Amherst Toyota Service Department will be well worth your trip. 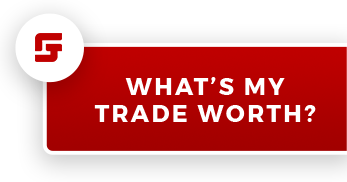 To us, it doesn’t matter if you bought your vehicle from Amherst Toyota or not, we will provide you with the best quality possible all backed by world-class service. Visit our service department today at 34 Lord Amherst Drive, Amherst, NS B4H 4W6. If you have questions for us, please to not hesitate to contact a Amherst Toyota Service Professional online or by phone at (902) 667-8348 today! In order for your vehicle to operate at an optimal level, it needs the right parts. 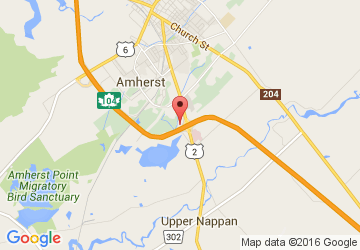 Get the correct auto parts in Amherst NS right here at Amherst Toyota. We offer parts and installation at affordable prices. Whether you need parts for a repair or just an upgrade, we can order the right auto parts in Amherst NS for your specific vehicle. And if you aren’t exactly handy around cars, no problem. We can install them right here. But before any of this happens, you can get a quote on the parts and installation (if needed) by filling out the form below. One of the best ways to keep vehicles performing at their full potential is to get regular oil changes in Amherst, NS from the specialists at Amherst Toyota. The dealership is home to a team that performs exceptional vehicle service and maintenance for all of the vehicles that ever made their way to the dealership’s lot. There are three main reasons why drivers should get regular oil changes. The first is that fresh oil allows the vehicle’s engine and all of its components to operate together with ease. Second, fresh oil keeps the engine cool and free from excessive friction. Finally, it helps to prevent buildup in the oil and engine. 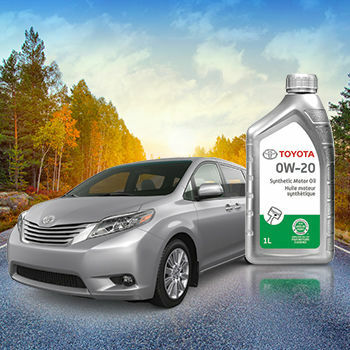 Prolonged oil changes or failure to switch out the engine oil can cause the engine to overheat. It can also create carbon or debris buildup in the oil. It can also lead to expensive damage like piston seizures or camshaft damage. When should I change my oil in Canada? There are few schools of thinking when it comes to oil changes in Canada. The bottom line is that oil changes should be regular and never missed. The most common rule of thumb when it comes to oil changes is to have them performed with every 5,000 km the vehicle travels. Some newer vehicles can even be extended to every 7,500 km. Another rule of thumb suggests that oil changes be performed twice a year. If drivers aren’t sure of when to have their vehicles’ oil changed, they should consult their mechanics or owner manuals. 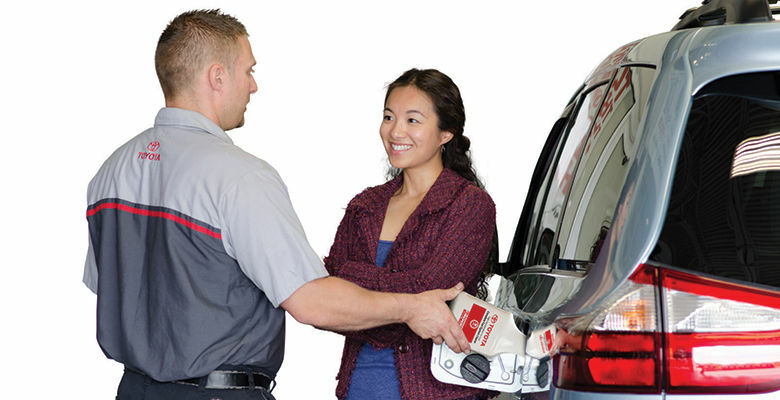 Drivers can also reach out to our team at Amherst Toyota for more information and trusted maintenance.